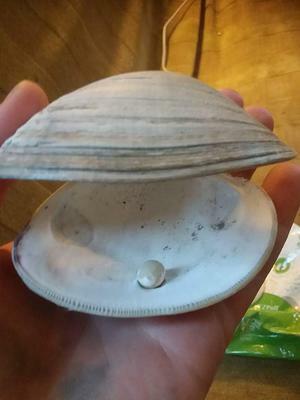 Today my friends and i were combing the beach at Wolfs neck state park looking for shells when i found this quahog shell, empty, with a pearl attached to its shell. Wow, I love it!! What are the chances of finding a quahog blister pearl and such a nice one too. Good for you. Shows picking up those empty shells pays off. Thanks so much for sharing. Now, you'll have us all picking up shells!